The founder of Sunland Group, Mr Shabeer Ahmed’s remarkable career began with the inception of Sunland Travel in 1985. 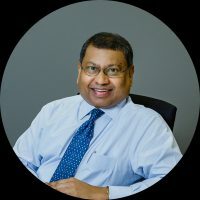 Starting out as a one man show dealing with inbound services for select Japanese operators, he led Sunland to be one of the most respected companies in the Maldives, competing against major international brands. Under his leadership, the company expanded its portfolio of activities to include resort management, ground handling, inbound sales agent and airline passenger sales agent. Today, Sunland Group consists of Sunland Hotels, Sunland Travel, Sunland Journeys and Coco Collection. In the course of the company’s growth, Mr Shabeer has been the main force behind the renovation of Makunudu, the company’s first resort and later on Biyadhoo, the three star property of the company. In 1998, he personally supervised the construction of Coco Palm Dhuni Kolhu, after which Coco Collection emerged. A brand many recognize to be the pioneer of boutique luxury in the Maldives, Coco Collection has grown to include the five star luxury resort Coco Bodu Hithi and the private island Coco Privé. Having won the prestigious National Excellence Award by the President of the Maldives for his contributions to the tourism industry, Mr Shabeer remains a very well respected figure in the Maldivian hospitality scene.